Now its really possible to record mouse positions, which allow you to replay movements and actions even in your absence. For this you need to download one utility software named Auto Mouse Move. Auto mouse move is free software utility which record the mouse positions one by one as you move the mouse, and it can replay all the movements and actions (single click, double click, no action). You can save the coordinate of the mouse pointer and the action you want (single click, double click, no action) and can start the program so that it can simulate as if there is a human sitting behind the computer. It will relieve you from many manual and daunting tasks. It can also save the records to a file so that you will not have to reenter the actions again and again. 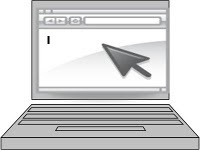 Auto mouse move is freely available on internet. Its very easy to use, you can also prank your friends by using this..